The latest of my reviews to go up on the Leicester Mercury website is the Queen of Bradgate. I enjoyed it and its tasty, slightly off-kilter food. It’s a good complement to the neighbouring Orange Tree, which has got decent food and drink too but, which I can find a bit too boisterous – no criticism of a well-run bar, simply a sign I’m really starting to feel my age. 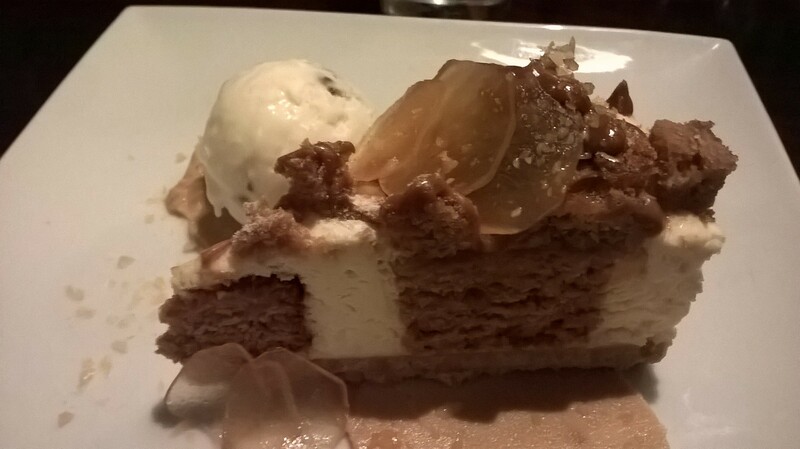 So here’s the link to the review – Queen of Bradgate – with the usually warning/apology for the aggressive ads on the Mercury site. On another note, I’m sorted for Christmas wines after a super tasting at the weekend at Evington’s on Evington Road. 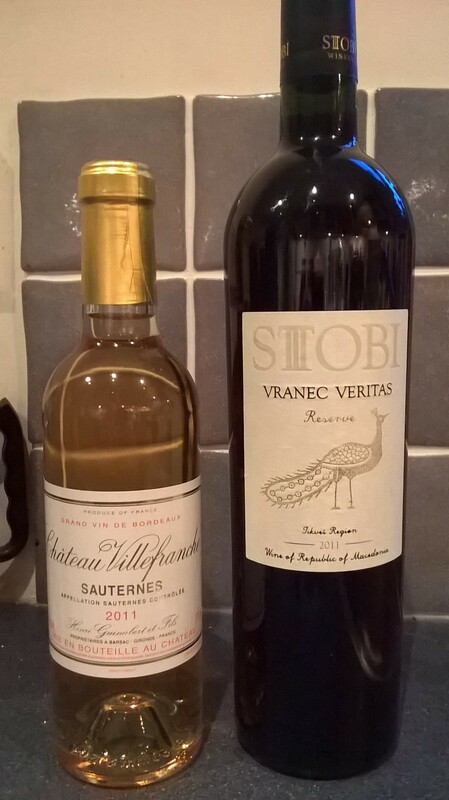 Simon March always seems to find interesting wines and this year the standouts for me were a superb Sauterne from Chateau Villefranche (£11.89 half bottle) and, much to my surprise, a wine from FYR Macedonia called made by Stobi called Vranec Veritas Reserve (£14.79) and made from local Vranec grapes. The latter is a booming 14.5 per cent red which would sit in for Clarets priced much higher, and while – sadly – I can’t say I drink Sauterne regularly, this one was the best I’ve encountered – incredibly complex and multi-layered for wine that sweet. If you are looking for something special for the festive period I do recommend a visit – Simon is always happy to advise. Well, sort of. It’ll be one of his franchised “New York Italian” restaurants and it will be at the Yew Lodge Hotel in Kegworth, which is definitely just in Leicestershire, but for the purposes of the restaurant is more accurately thought of as a suburb of East Midlands Airport and Donnington racetrack. This will be the 15th restaurant in the chain and should open in April. I’ve heard good things about the others. Anyway, watch out for the syndicated interview and recipe with MPW in the Mercury, Derby Telegraph and Nottingham Post around late March. I had dinner last night at The Bradgate, Newton Linford, as a guest of David Keatley-Lill. I first met David when he was GM at Grayson’s, a terrific fine dining venue in Quorn in the mid-noughties. He now runs the White Horse in Quorn and, since last year, this venerable institution on the edge of Bradgate Park. It’s not fine dining, it’s tasty pub food designed to please the hordes who descend all year round on Braggy for a yomp. It’s a huge place with high overheads – in the summer with its outside space it can serve some 300 – and it’s been nicely smartened up in an unpretentious way. David gave some interesting insights into running this kind of place, where people still turn up regularly and expect a £5 carvery that they had on their last visit five years ago. He recognises he probably pitched it a bit high to begin with, but eventually refined the offering, introducing barbecue ribs and wings – including an outdoor rib shack in the warmer weather – and a big pizza oven. 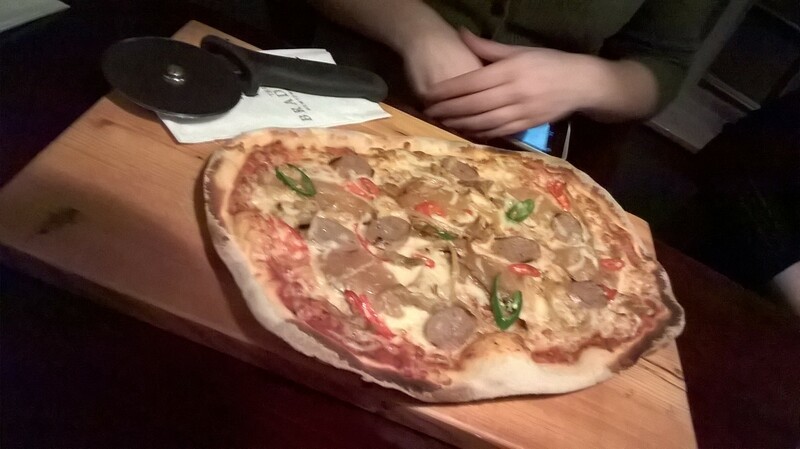 This knocks out great thin and crispy pizzas with local themed names such as the Old John, with pulled pork, sausage, caramelised apple sauce and chilli – not for the traditionalists clearly but very tasty. Part of the inspiration here is the success of the award-winning Bulls Head in Repton Derbyshire, which has made a name for itself with inventive pizzas. 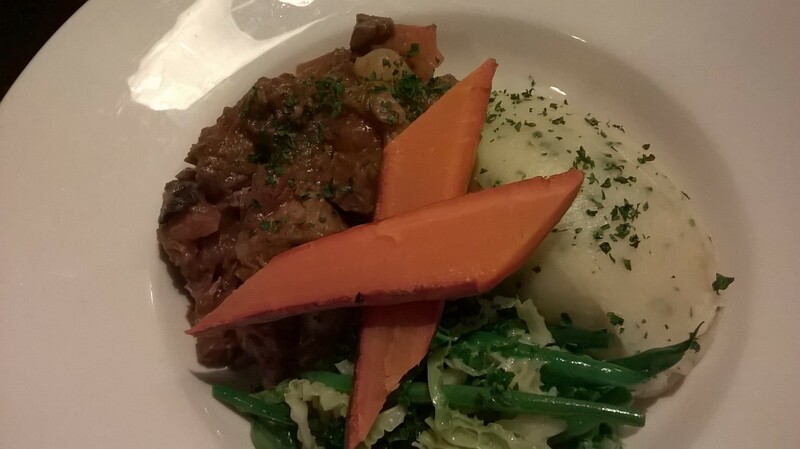 I tried the ribs and a main of boeuf bourguignon and a ginger and toffee cheesecake, with other dishes tried at our table including piri piri chicken wings, that Old John pizza, smoked mackerel pate, rump steak with king prawn skewer and nutella brioche bread and butter pudding. So you get the picture – hearty stuff, and enough nice touches to take it a level or two above those identikit family pubs that seem to thrive on the edge of our city, whilst remaining accessible and inclusive.